Taiwanese carrier Far EasTone has chosen ID technology provider Morpho to provide the TSM platform for its upcoming NFC payments trial, which will see users able to make purchases in stores, pay for public transportation and participate in loyalty programs. 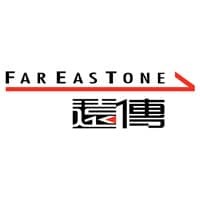 The “Far EasTone NFC All Around Trial Program” will run until the end of January 2014 and will see 1,000 employees taking part. MasterCard, Taiwan Cooperative Bank, EasyCard, Kaohsiung Rapid Transit, HTC, Samsung, Sony, Vodafone, Gemalto and Dante Coffee are also working with Far EasTone on the project. “We partner with Morpho for its end-to-end expertise, its market-proven technologies and its business knowledge,” says Far EasTone’s Roger Chen.